May 6, 2017. Lviv. Ukraina stadium. Att: 100. 23oC. In the standings, the opponents were divided by ten points. In the previous round, the Pitmen narrowly defeated Chornomorets (1-0), while the Lviv side lost to Vorskla away (3-4). 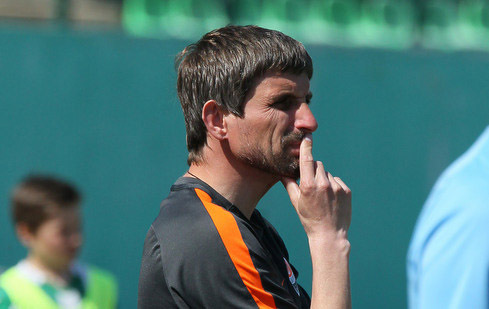 Head coach of the Donetsk team Serhii Shyshchenko made no changes to the squad compared with the previous encounter. Shakhtar could excel as early as in the first minute. Yefym Konoplya went down the right flank and crossed along the goal, but three strikes in a row didn’t bring success to the Orange-and-Blacks. The opening activity has resulted in a few more promising chances. Vladyslav Kuzmenko found himself in the spearhead position more frequently than the others, he wasn’t lucky in the closing phase though. But in the 17th minute, he successfully operated as an assistant. His cross from the flank was finished off by Illia Putrya, who sent it just home past the goalkeeper. The goalkeeper had enough work to do even after opening the scoring: Serhii Shyschenko's lads regularly created danger near the goal of Vadym Yuschishyn. At the same time, almost all the attacking players could put their names on the scoresheet. Vladyslav Kuzmenko was twice brought one-on-one with the goalkeeper by defender Yurii Mate, Maksym Chekh and many times Volodymyr Yakimets had good chances to score. The visitors had their chance at the end of the half, with the ball hitting the post after the strike by Yurii Zavynskyi. Just early in the game, the teams exchanged effective attacks. First, Yurii Mate was quicker than the others in the goal area following a corner and doubled the score, with Artur Dyma succeeding a few minutes later. Then the game was developing in line with the first-half scenario: the Pitmen dominated possession, continuing to create increasingly more chances, but lacking some finishing. Thus, within a minute, Vladyslav Kuzmenko and Yurii Mate could score headers, followed by a chance of Putrya who found himself one-on-one. Yefym Konoplya was close to his success: he saw that the goalkeeper had left the goal and decided to strike from his half of the field only to see the ball go just slughly above the goal. Midway through the half, the pace slowed down, with the hosts managing to level the game in a way. Karpaty started to charge forward more often, so the Donetsk side had more open spaces for blistering counter-attacks. 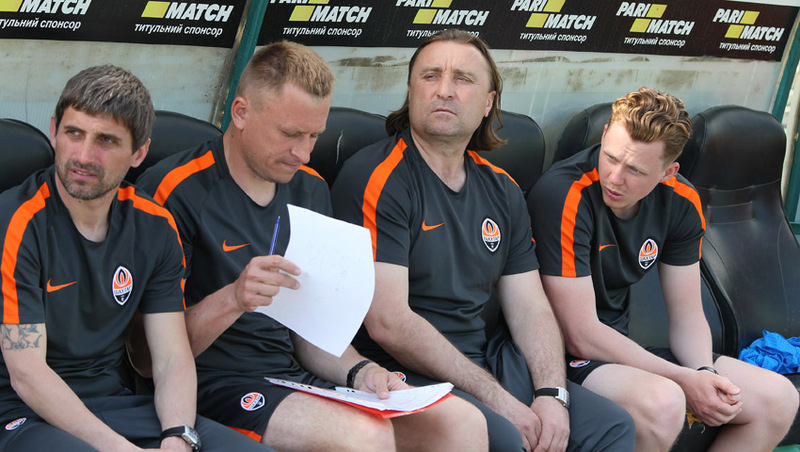 Volodymyr Yakimets, Illia Putrya and Vladyslav Kuzmenko could capitalise on them. As a result, the referee registered the 2-1 victory of Shakhtar. That’s the sixth success in a row, with Serhii Shyschenko’s outfit continuing to go without losing points in the season’s spring part. The Pitmen’s next match will be held on May 13. Within the framework of the 24th round, the Orange-and-Blacks will receive Skala. - Today, we created as many efforts as we have not fashioned in all previous games combined. At the same time, we really had 100% goal-scoring chances, when we badly needed to score. Nevertheless, the team claimed a victory, and this is the most important thing. I am very pleased that we managed to put our ideas into practice on the pitch. The guys perfectly fulfilled the plan for the clash - they knew what and how to operate. Probably, after opening 15 minutes we had to lead by the score of 5-0... Right, we failed to convert our chances, but the crucial thing is a win. Indeed, the closing stages turned out to be nervous, but this always happens, if you do not score. In addition, my lads invested a lot of energy. Аfter all, we play deploying the same line-up, therefore the players have been under serious workloads recently. To earn these three points in the match versus good team in this heat was not easy for us. However, I am happy that we have continued our winning streak and will be preparing for the next meeting with good humour.